The plaintiff is expected to rest Monday in the sexual harassment trial of a civil lawsuit filed by a female parks manager against former Mayor Bob Filner and the city of San Diego. 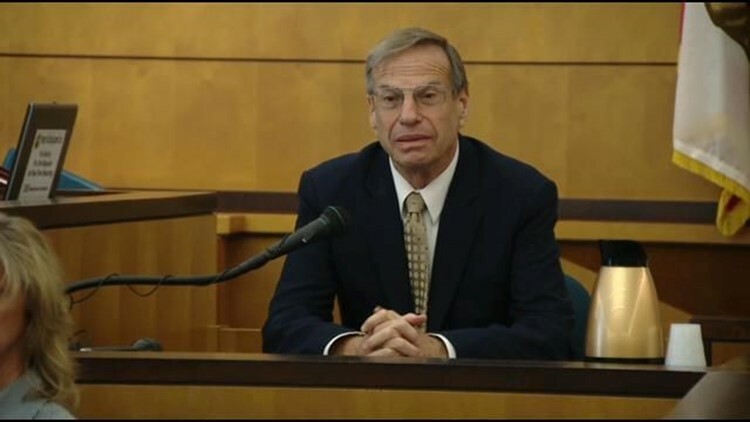 SAN DIEGO (CNS) - A woman who sued the city and former San Diego Mayor Bob Filner, claiming he sexually harassed her and committed sexual battery against her at an event three years ago, told a colleague it wasn't that big a deal and he was "just a stupid guy,'' a witness testified Monday. Kathryn Ruiz, who has worked for the city of San Diego for 28 years -- mostly in human resources -- was the first witness for the defense in trial of the suit brought by former city parks manager Stacy McKenzie. with his arm. Ruiz, who worked with McKenzie, said the plaintiff told her what happened with Filner at the ``Clairemont Days'' celebration and Ruiz told her the incident needed to be reported. The witness said McKenzie-- who was not working at the event -- told her that Filner grabbed her from behind after she introduced herself and asked her on a date. He later pleaded guilty to misdemeanor battery and felony false imprisonment. He was sentenced to three months on house arrest and three years probation..
McKenzie testified that she felt "doomed'' after her encounter with Filner. She alleges sexual battery by Filner, and sexual harassment and negligent failure by Filner and the city to prevent the attack. The lawsuit was filed after the city denied a $500,000 claim by McKenzie. Her lawsuit is one of two involving Filner that have not been settled. Four other similar cases were settled for more than $1 million total.